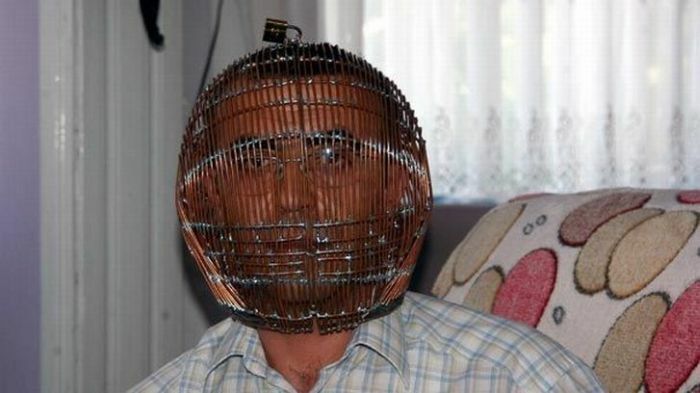 Why does this man have a cage on his head? 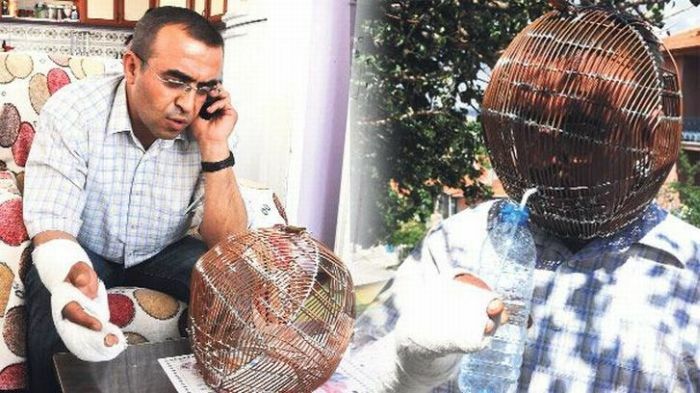 42-year-old man from Turkey wants to quit smoking. 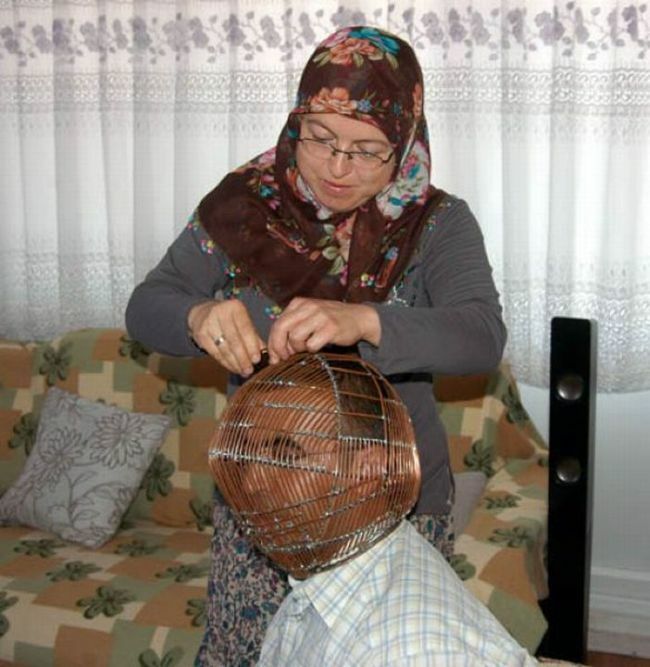 Every morning his wife puts this cage on his head that doesn't allow to smoke a cigarette. He can't eat or drink either. 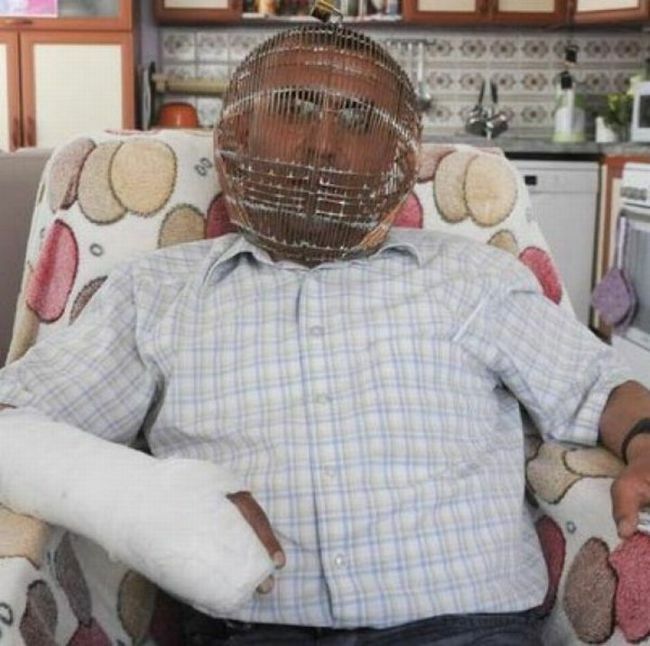 Is the cast to keep him from masturbating too? No. 1 - He's got his left hand. The cast just makes it harder. Wouldn't an e-cigarette be easier - and pleasanter?